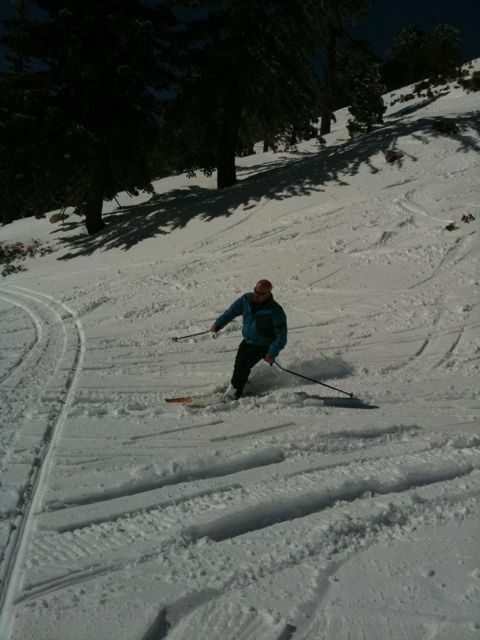 We woke up at 5am and went ski. We had a good time but we came home later than we planned. So I will write about today with more pictures tomorrow. 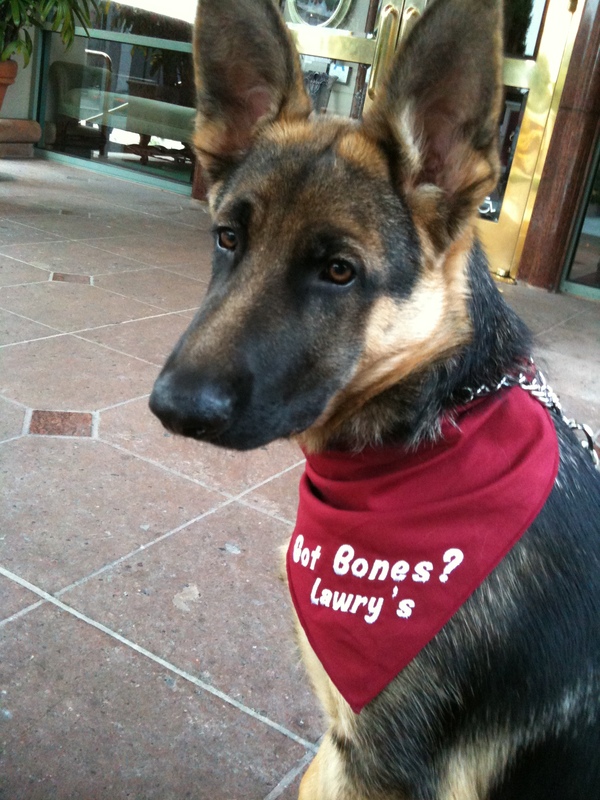 Kinta likes to go to Lawry’s. He enjoys car ride. 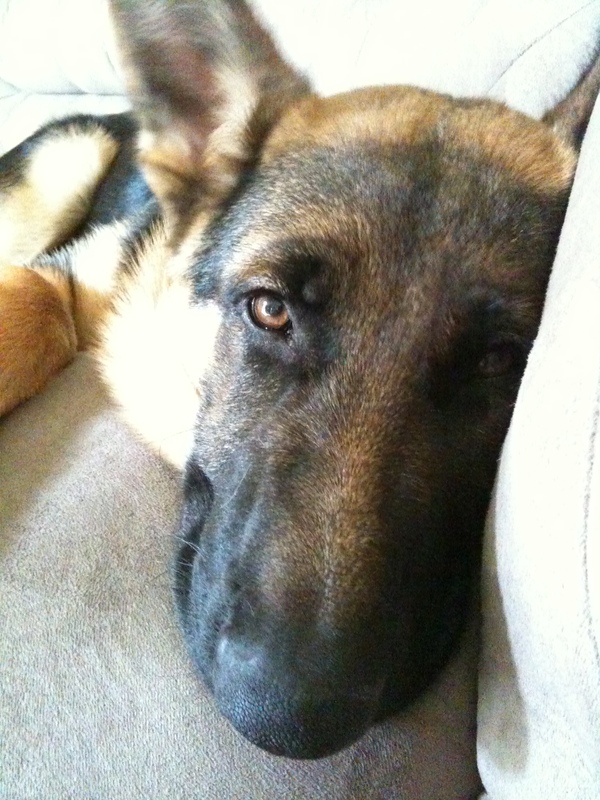 He’s anticipating his socialization training (for him, a new job as an ursher). He looks out of the window to get fresh air. Occasionally he barks at certain people, which I don’t know why. 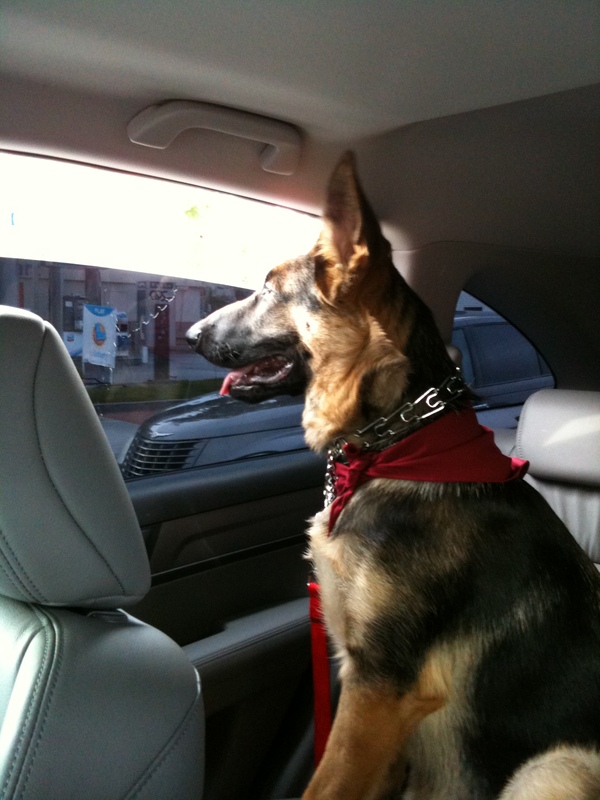 Kinta enjoys watching people going in to the restaurant. I bet he thinks that he’s helping Todd. 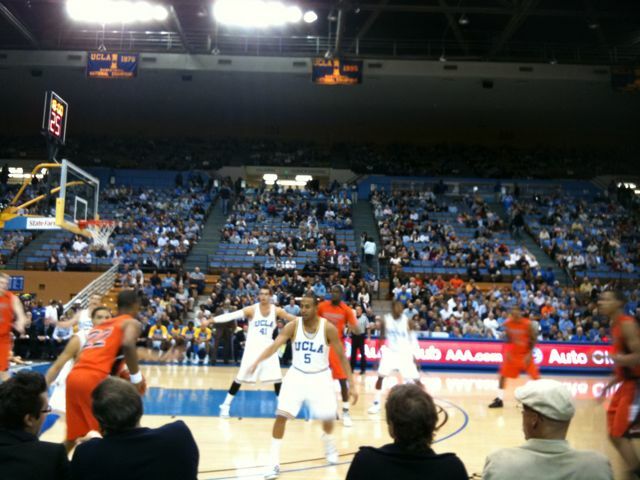 Last night basketball game, UCLA won. It was a good close game. When we came home it was already after 10:30pm. 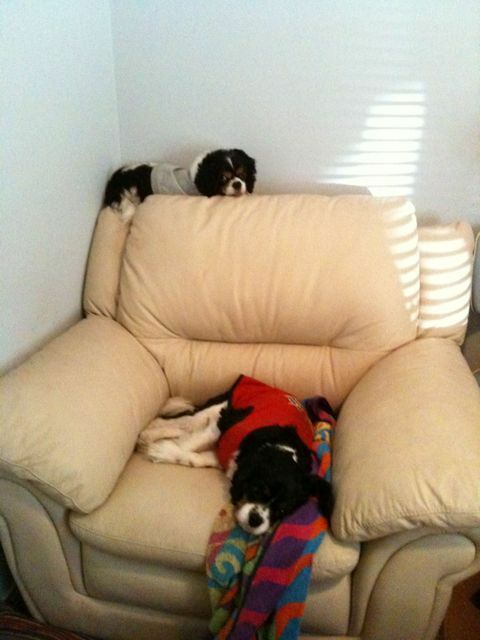 Our pooches were not happy. Todd and I are at UCLA basketball game. Go Bruins! This is Rusty. He is Lablapoodle. Todd’s best friend, Kurt’s new buddy. 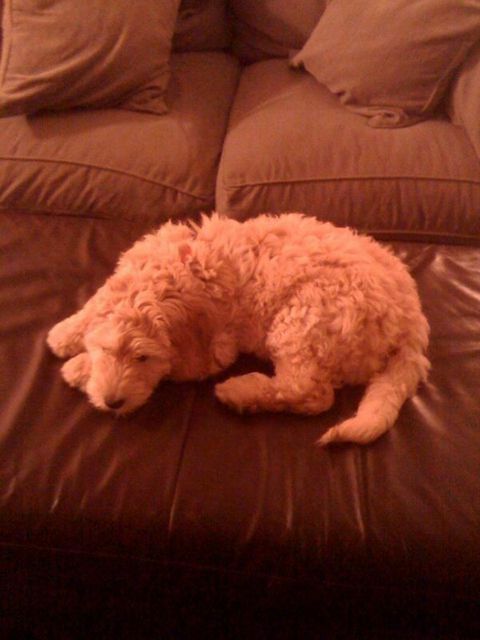 He looks like a teddy bear. I wish he could be Kinta's play buddy. 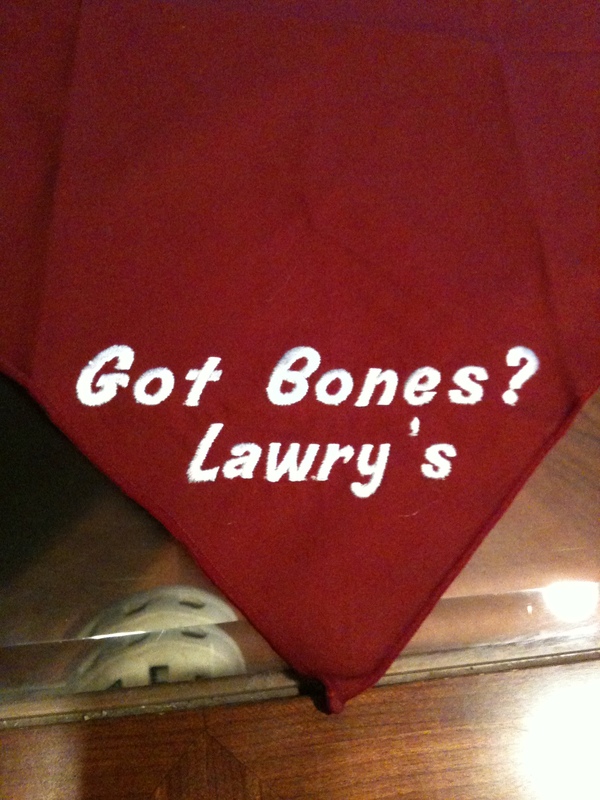 I made some bandanas for Kinta to wear when I take him to Lawry’s for his socialization training. This is my favorite. “Got Bones?” Hey, if a cute giant puppy’s gonna sit in front of the restaurant, he shall be the draw, don’t you think? Even though Kinta goes to Lawry’s and sit in front of the restaurant, we let him sit by valet parking site, not in front of the door, so that he does not have any possible direct contact with customers. Of course, some customers would like to come near Kinta and pet him. I let them do that as long as they are adults. We don’t know if Kinta is child friendly or not yet. Can’t risk. We are looking forward to train him at park where many children are, this coming weekend. Yesterday after dentist visit, we drove by to Trent’s gym to say hi. 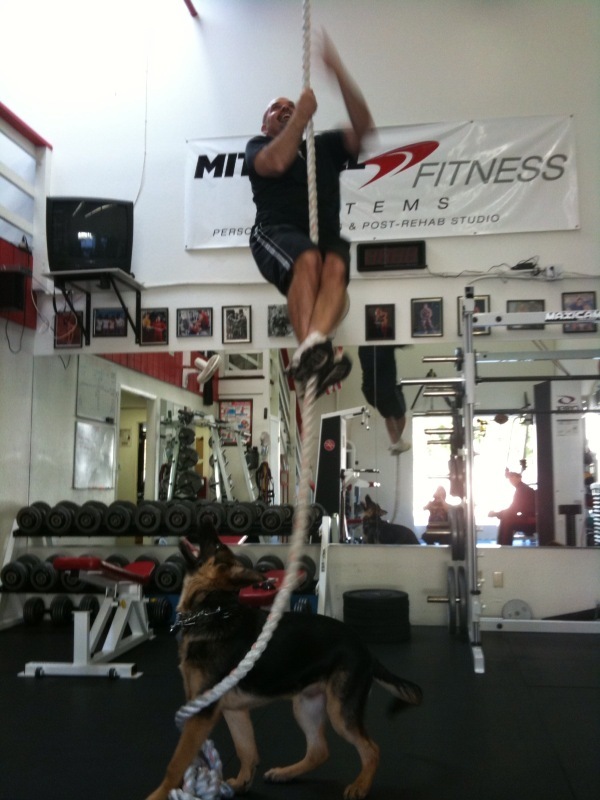 While Todd tried to climb up using the rope in the gym, Kinta misunderstood that he’s gonna play with him using rope. 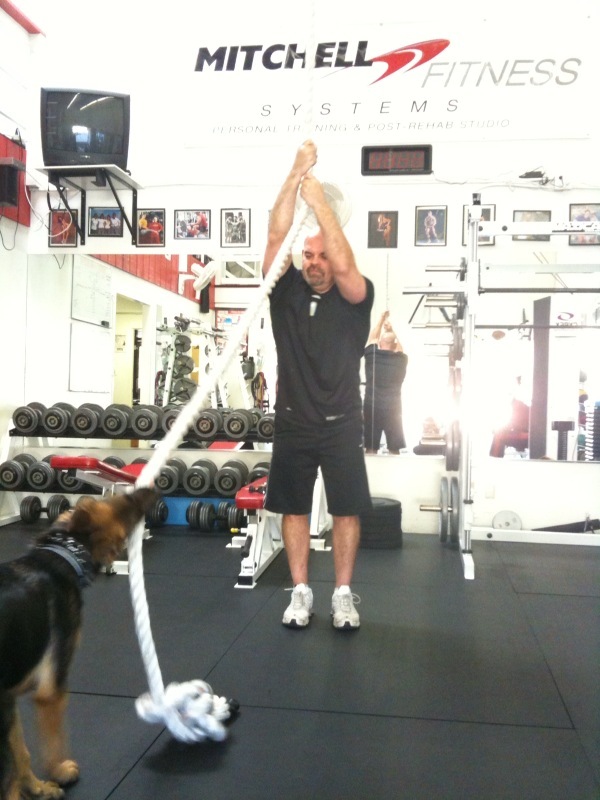 Though Kinta interfered a lot, Todd managed to get up pretty quick. I have no idea how he can do this kind of thing. My hubby is a strong man.